By Madeline Bryant, Librarian III, Children’s Literature Dept. Picture yourself meeting distinguished authors and illustrators, schmoozing over the best in California children’s literature, while feasting on delicious breakfast delicacies. If this sounds enticing, then consider joining FOCAL (Friends of Children and Literature), a dedicated group of librarians, educators, authors and illustrators, and children’s literature enthusiasts in their endeavor to support the Children’s Literature Department of Central Library. When I joined FOCAL in 1998 as a new children’s librarian, I had little idea of its dynamic history. After serving the past two years on the FOCAL Awards committee I began to understand the energy behind the organization. And after recently speaking with retired librarian Renny Day, former Senior Librarian in the Children’s Department, about FOCAL’s inception I was fascinated. FOCAL was founded in 1979 by a dedicated group of twenty volunteers driven by the desire to bring children and books together. It’s original mission also included highlighting the special collections of the children’s department, which just a few years earlier had been threatened with closure. This was mostly due to budget constraints, but partly out of a belief that "there were no children downtown," said Day. This, of course, was entirely untrue! In fact, the Library Commissioners voted on the idea of shutting down the department several times. The vote was always close (three to two) but luckily the department remained open. In the mid 1970s the Children’s Literature Department (then just called the "Children’s Room") was only open from 3-5:30 during the week and from 10-5:30 on Saturdays. The rest of the library was open until 9:00 pm in those days. When librarians left for the day, they would pile books on an ugly homemade wooden bookshelf in the hall so that children would have access to the books. When Renny became the Senior Librarian in the "Children’s Room," she was told by the Director of Central Library that anyone in her position would have to make it INCONCEIVABLE that the Commissioners would ever think about shutting down the Children’s Room again. And she did! But that’s another story for a whole different article. FOCAL was born around the same time as Renny’s arrival in the department, and the two were not entirely coincidental. She immediately began weekly storytimes and also amassed a dedicated group of volunteers who petitioned city officials not to close the Children’s Room at Central Library. Sandy Shuckett, one of the founding members of FOCAL and for many years its president, wrote impassioned letters and brought children to city meetings in support of keeping the department open. Volunteers also began the monthly sale of used children’s books and materials, which is still held on the third Saturday of every month. Usually, an organization’s beginning can be described as humble. Not so with FOCAL. In the first few years alone, such notable authors as Astrid Lindgren, Madeleine L’Engle, Scott O’Dell, Sid Fleischman, Eve Bunting, Ed Radlauer, and Norman Bridwell all participated in FOCAL activities…a remarkable accomplishment for such a budding organization! The reason for such distinguished author visits was FOCAL’s development of an “Author for a Day” program, a highly successful venture which united local and national authors with Los Angeles schoolchildren. Peggy Miller was the original program coordinator who would hire up to eight authors a year to visit local schools. “Author for a Day” eventually became a victim of it’s own success, with calls from so many schools that it became impossible to meet the demand. FOCAL now hosts the Saturdays at Central Author Series where once a month in the Children’s Literature Department an author or illustrator reads their books and shares the writing and creative process with children. The excitement and fearless determination of FOCAL’s early days including the “Author for a Day” program are chronicled in amazing detail through memos, letters, and newspaper articles in a wonderful album that Renny compiled which now lives in the Children’s Literature Department. The accompanying photo albums are not only a trip down "memory lane" but a tribute to some of "the greats" in Children’s Literature, whom FOCAL successfully invited to visit the department and local schools. Only a year after it’s inception, FOCAL also created an annual book award given to a work that would enrich a child’s knowledge and understanding of California and its history. The FOCAL Award was devised as a way to bring recognition to the Children’s Department and one of its special collections, Californiana. There are several criteria a book must meet in order to be awarded the prize. First, it must be a children’s book of the highest literary and artistic quality with California content. The committee also considers the book’s interest level and universal appeal for children. Generally speaking, the committee chooses from books published within the past five years and the book must be in print. The committee is comprised of six voting members and two non-voting members including the FOCAL president and former committee chairperson. Each member serves a two-year term. In 1980, FOCAL unanimously bestowed its first award upon the distinguished author and illustrator Leo Politi, who lived and worked in Los Angeles for over 40 years. 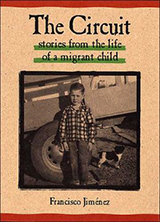 In fact, Mr. Politi designed a unique illustration of children reading specifically for the Children’s Department, which has since become the FOCAL logo. The first awards ceremonies (up until the time of the fire in 1986) were held in the children’s department. While seemingly modest, they were no small event! Children and parents of the community were invited to attend. The Los Angeles Times provided media coverage and all major children’s literature journals were informed. The enthusiasm of Renny Day and her friends at FOCAL is evident by the continued success of the award. 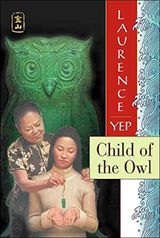 Only twice in its history has an author not been able to attend the awards ceremony, Yoshiko Uchida in 1986 due to illness and Rhoda Blumberg in 1991 due to winter weather. FOCAL also has a unique award for its winners. The author (and illustrator if there is one) of the winning book receives an original handmade puppet created by FOCAL member Carol Onofrio. Every year since it’s inception, she has created a handmade puppet based on a character in the book. In addition to creating the author’s puppet, Ms. Onofrio also donates an identical puppet for display use in the Children’s Literature Department. The puppets are much treasured by the Children’s Department and the authors who win them. In fact, Sid Fleischman, a two-time winner of the FOCAL Award, has said that the first thing he picked up after entering his house after the 1994 earthquake was his puppet "Praiseworthy," who had fallen off his mantle, but luckily remained unharmed. After 25 years, Ms. Onofrio is preparing for "retirement" and will soon be taking on a "puppet apprentice" who will carry on the creative prize tradition. Puppets are usually on display in the Children’s Department during the month of November, when FOCAL holds its annual awards luncheon. We welcome you to stop by and see them. In the early 1990s, when Central Library was still in its temporary Spring Street location, an annual writing contest was developed, inviting children to actively participate in the FOCAL experience. Originally, the writing contest was both funded and administered by the Central Library docents. However, when Central Library re-opened in 1992, FOCAL assumed all responsibility for the contest. 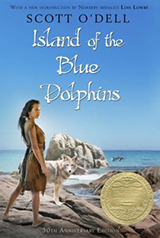 Each year, children in grades 3 through 8 have the opportunity to read the award-winning book and write an essay about why they enjoyed the story and why they would like to meet the author. The children who win get to attend the award luncheon with a parent, meet the author, and get a signed copy of the winning book. At the same time, every child who enters the contest automatically enters their school in a drawing to win a free set of FOCAL award books for their school library. A wide range of books competes each year for the prize, encompassing everything from bilingual poetry to biographies of famous Californians. There are always several books about the Gold Rush and the 1906 San Francisco earthquake under consideration. The list of books is eventually whittled down over the course of about three annual meetings, with about six "finalists" usually remaining for consideration. 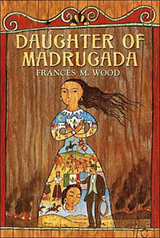 This year FOCAL honored its 25th book, Daughter of Madrugada by Frances M. Wood. 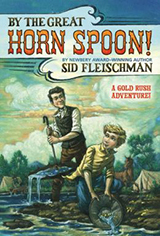 A "chapter book" for older readers, the story is told from the point of view of a 13 year-old girl named Cesa who lives on a rancho in California with her father and brothers just as the gold rush is beginning. 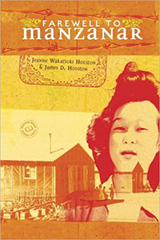 The ensuing changes in her life are chronicled in rich historical detail and told from the unique perspective of a Spanish "Californio" girl. The culmination of the committee’s efforts results in the FOCAL Luncheon, which is now held as a Saturday event at McCormick and Schmick’s Restaurant located across from Central Library. Ultimately, the award-winning list of books that is created is a diverse and enriching experience for children, parents, teachers, or anyone interested in California and its history. 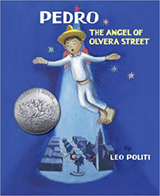 To access the annotated list of FOCAL winners stop by the Children’s Literature Department or visit our web page at: http://www.lapl.org/kidspath/booklist/focal_award.html. Anyone interested in joining FOCAL, helping with the book sales, or serving on the awards committee may call the Children’s Literature Department or visit the aforementioned web page for a membership application. A host of new books already awaits us for next year and suggestions are always welcome. As next year’s Committee chair, I look forward once more to lively mornings of book discussion and most of all the fine literature, some of which will end up on our winner’s list and contribute to the history of FOCAL and the Children’s Literature Department.